“Green chemistry represents the pillars that hold up our sustainable future. It is imperative to teach the value of green chemistry to tomorrow’s chemists.” very rightly quoted by Daryle Busch, explains the need of the hour, the need of the planet. Green technology is the solution to it, to end it all, to end the miseries out planet, our environment. Green chemistry or technology is the topic of the talk nowadays. Since chemical manufacturing has brought revolution in the life on earth, its ill effects are also not less in magnitude. The “giver” of the environmental degradation is always the “man” but the receiver is not only “man” but the environment also. The alarming cases of environmental degradation and ill effects of pollutants all over forced the government globally to make laws and thus give birth to a new study of interest, Green technology or Chemistry. Wherever we hear the world Green, it strikes the word “environment friendly’ and technology means using the modern techniques and application of these techniques. Thus green technologies engage innovative methodologies to protect the environment. This field has gained importance and emergence not only in the areas of research and development but also in the arenas of academics and industry. 1. Prevention of waste: As it is based on the old age principle of “prevention is better than cure”, we should aim at cutting down our waste produce and thus follow the Zero Waste Technology. Chemical synthesis should be designed in such a way that the waste products are minimised because the cleaning and disposal of waste may sometimes be time consuming, costly and thus hectic. Thus the waste prevention leads to the minimal of problems associated to the waste storage, transportation, and treatment. 2. Atom economy: chemical synthesis must be designed to maximise the incorporation of starting materials and reagents in the final products. This concept was visualised and developed by B.M Trost. This is a method of expressing the efficiency of a particular reaction in which reactant atoms are incorporated into the desired final product. The main objective of this technique is to define and come up with new methodologies to incorporate the maximum of reactants in the final desired product thus reducing the waste or the by-products. 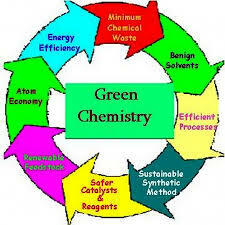 A method or reaction may be considered as green synthesis if its % atom economy id=s high, however lower is its yield. 3. Minimisation/ prevention of hazardous chemical synthesis: wherever practicable synthesis should be designed so, that it has no ill effects on human health that is using and generating substances those impose minimum or no toxicity to the environment. 4. Designing safer chemicals: the reaction products should be so moulded and designed that they should fully effective without having any toxic effects. With the new advanced systems, it is possible to manipulate the chemical structure to produce safer chemicals therefore new products can be produced which are not only safer but also highly effective. 5. Safer solvents and auxiliaries: the use of auxiliary substances (e.g solvents, separating agents, etc) should be avoided. But even if these chemicals are necessary safer chemical substitutes should come into play. 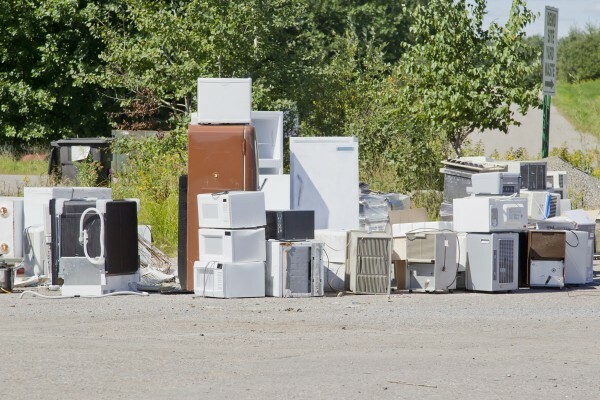 Efforts should also be made to lower the volumes of solvents used. 6. Design for increase in energy efficiency: energy requirements for chemical synthesis should be minimized using much more energy efficient conditions for example ambient temperature and pressure, catalysed reactions, or using a different technique to alter the energy requirements to minimize the environmental economic impacts. 7. Use of renewable Feedstocks as starting material: the depleting raw materials and feed stock should be efficiently replaced by renewable ones wherever technically and economically practicable, thus leading to cutting down of waste production and thus its management gets easier. 8. Avoid of chemical derivatives: in a chemical process, unnecessary derivatization that is blocking groups, protection/ deprotection or any temporary modification of physical or chemical process should be avoided if possible because such steps demand additional reagents and can generate waste. 9. Use of Catalyst and Non-Stoichiometric Reagents : the waste produces is minimum if the catalytic reagents are used since the catalytic reactions are highly specific and are needed in very small amounts. At the same time, the reactions are energy efficient too. 10. Products designed should be biodegradable after use: the chemical products that are synthesised should be designed so that they breakdown into safer substances after use and are broken down easily and do not accumulate in the environment. 11. Strengthening of analytical techniques for pollution prevention: the ongoing analysis of the process carried out that monitors the synthesis for the progress of the reaction section whether complete or incomplete, and the formation of by products is minimised and detected. Thus these analytical techniques should be further developed. 12. Design of manufacturing plants to minimize the potential for accidents: the chemicals and their forms should be so chosen to minimize the potential for explosions, fires, leakages, etc. Thus the chemicals with warnings “handle with utmost care” should be played upon carefully.